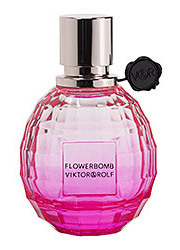 Flowerbomb is a pretty silly name for a fragrance that features so few flowers in it. In fact, it smells more like caramel or cotton candy than anything. You could call this Candy Bomb and it would make more sense. In Bottle: Despite the notes listing for this fragrance the first thing you are going to smell is sugar, vanilla, and caramel. Yes, the fragrance that calls itself Flowerbomb doesn’t open with any florals. It opens with a gourmand. But wait, there’s more if you give her a little more time. Applied: As you’re settling into your dessert you may start to wonder, where are my flowers? Didn’t I buy Flowerbomb? Why am I tasting a mountain of sugar instead? Then it hits you, jasmine and smoke. Did someone burn the caramel? Wait, I think I found a flower in Flowerbomb! A faint floral whiff of it coming at you from behind the cotton candy bush. It sneaks up on you, this little jasmine note, but its feet is stuck in the sticky candy and caramel mush road. When you finally notice it, you also start to notice the other florals too. Florals who had bloomed and are now dying, sinking into the hot sugar quicksand made of powdered sugar and melted caramels. What I’m trying to say is, Flowerbomb has a sweet, toothache inducing caramel fragrance with a floral heart that’s barely detectable. If you are looking for a floral fragrance, you will be looking hard for it behind the candy. As the heart continues to develop the caramel turns burnt, and the sugar, vanilla and whatever else is making this stuff smell like the underside of an amusement park ride seat gets even sweeter and sweeter until it hits cloying. Not just cloying like Miss Dior Cherie. Flowerbomb is smoky cloying. It stays at cloying well into the dry down when sugar attack mania is still all that you can smell until it fades into nothing but a light smoke trail. Wait, is that patchouli I’m smelling at the very tail end of this? Well, a little late to the show but at least I caught a fleeting glimpse. Extra: I can’t understand the appeal of this fragrance that was released in 2004. I could understand Angel by Thierry Mugler but Flowerbomb’s youthful jolt of sweetness is beyond me. It polished the grit and character out of the patchouli so what I’m left with is a benign patchouli that can’t tame a sugar overloaded scent. I don’t think I will ever come to fully understand Flowerbomb either and can only commend it as one of the sweetest gourmands ever. If you want sweet and candy-like, you want this stuff. Did I mention this stuff has insane projection and longevity? Go easy on the sprayer, you will smell this for many hours. Design: Flowerbomb has its rather signature pink grenade shaped bottle. Cute and iconic. A little conceptual if somewhat literal in interpretation. It makes this a nice looking perfume and a good conversation piece. The bottle itself is well designed, has a nice weight, is easy to hold and the sprayer is just dandy. Notes: Bergamot, tea, jasmine, freesia, orchid, rose, patchouli. Flowerbomb is probably one of the best examples of why the advertisements are not to be taken to heart. Official word labels this as a floral. 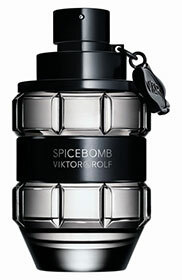 But it is a gourmand above and all else and almost everyone who has smelled Flowerbomb would tend to agree. It takes a lot of digging, in other words, to find the flowers. This is a great fragrance for a very young audience who likes sweetness, likes caramel, and likes candy with a once in a while faint whiff of florals. It isn’t for me though. 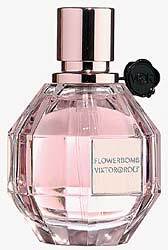 Reviewed in This Post: Flowerbomb, 2009, Eau de Parfum.